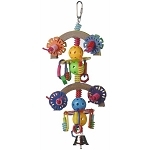 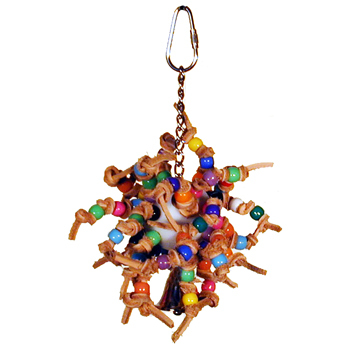 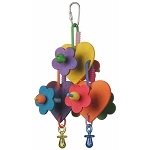 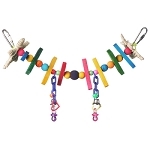 Home > Bird Toys > Small Bird Toys > Sputnik Jr.
7 x 4 x 4 "
Lots of fun leather knots and beads cover this whiffle golf ball toy to satisfy the busiest of birds. 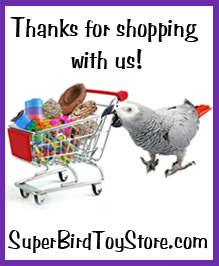 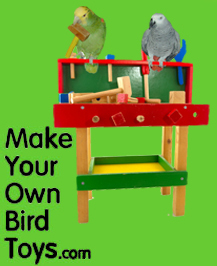 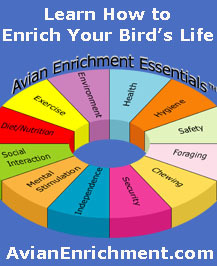 Providing toys that require manipulation will help birds to develop their dexterity and fine motor skills. 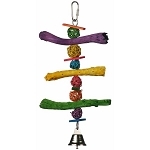 A "busy" toy for sure. 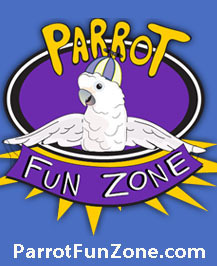 Keeps my cockatiel happy for days and days.